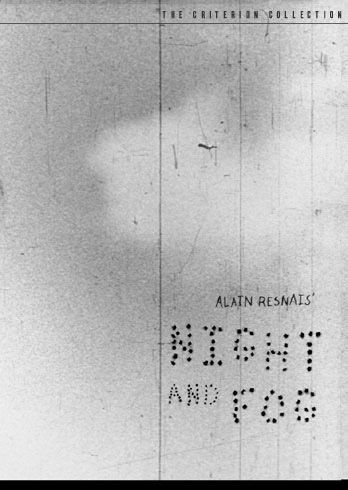 Night and fog is a French documentary directed by Alain Resnais, on the initiative of Henri Michel, and released in 1956. It deals with the deportation and the Nazi extermination camps of the Second World War, in application of the so-called provisions. Night and fog "(Decree of December 7, 1941). Night and Fog is a commission from the History Committee of the Second World War for the tenth anniversary of the liberation of concentration and extermination camps, a government agency founded in 1951, whose purpose was to gather documentation and information. to pursue historical research on the period of the occupation of France in 1940-1945, of which Henri Michel was the secretary general4. Lasting thirty-two minutes, the film is a mix of black and white archives and images shot in color. The text, written by Jean Cayrol, is said by Michel Bouquet. The film derives its title from the name given to the concentration camp deportees by the Nazis, the NN (Nacht und Nebel, named after the decree of December 7, 1941), who thus seemed to want to forget their fate. Achieved in 1955, ten years after the end of hostilities, which provides some distance, the film is the first to pose a milestone against a possible advance of denial, and a warning on the risks that would present a trivialization or the return to Europe, anti-Semitism, racism or totalitarianism. It remains difficult to imagine today the strength of the film when it was released in 1956, during the Cold War, although it still does not mention the racial character of the exterminations, that it does not distinguish simple deportations5. A serene, calm and determined documentary work, this film shows in turn how the places of the concentration camps and the work of extermination could have an ordinary appearance, how this extermination was organized rationally and without any qualms, "Technical" in a word, and how the state in which the places were preserved is far from indicating what was formerly perpetrated there. The images are accompanied by the reading of a text of the French writer Jean Cayrol, a French resistance soldier deported to the KZ Mauthausen in 1943. His poetic monologue recalls the everyday world of concentration camps, torture, humiliation , terror, extermination. In the first German version, the translation of Paul Celan sometimes differs from the original for poetic reasons: it remained for a long time the only text printed in German. The literal translation of the original text of Cayrol was printed in German only in 1997.